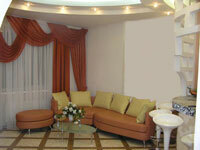 Short-term rental apartments in Dnepropetrovsk at your service! 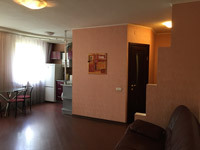 It is necessary for you to rent an apartment in Dnepropetrovsk for some days? You want to feel domestic conditions even on business trip or travel? Our real estate agency offers complete range of accommodation in Dnipropetrovsk from inexpensive one-room apartments up to four-room business class apartment in Dnepropetrovsk center. We offer apartments for rent on any term: daily rent, several days, months. ~ We grant a discount for regular clients. ~ We give a discount for renting the flat more than 7 days. 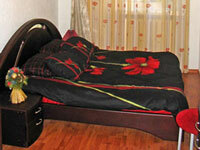 ~ Our apartments are equipped with all that is necessary for a comfortable residing. ~ Rent is charged for the apartment, not for a person, thus several people can stay in one apartment. 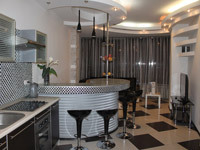 ~ Our fully serviced apartments are cheaper and more convenient than inefficient and expensive hotels in Dnepropetrovsk. 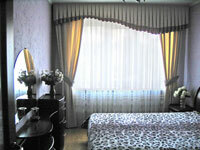 To rent an apartment in our agency is very simple, just choose suitable apartment for you on this site. +38(063)6609888, +38(050)9905568 from 8 am till 8 pm local time.